If there is anything in the shop that has a lower stock than what you had hoped to order, just email us for availability and we will do our best to adjust your invoice based on stock. All prices are listed in Canadian dollars. All authorized retailers will receive 15% off the listed retail price, plus the cost of shipping. Trade clients will receive 10% off the retail price, plus the cost of shipping. Prices are subject to change without notice. A minimum order of $100 is required on your first wholesale account order for your discount to apply. No minimum order is required for re-orders. Payments through paypal, debit, credit or cash are all accepted. Though your shipment will likely go out next day, please allow up to 2 business days for your order to ship. All of our products are tested and inspected in-house. Due to the nature of our production method, each products grade may vary slightly. Please inspect all shipments immediately upon arrival. 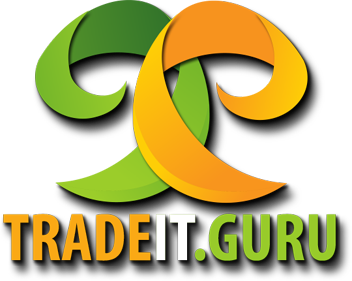 Please contact the TradeIT Team at sales@tradeit.guru within 5 days of receipt of damaged or defective shipments. Returned merchandise will be replaced or refunded as per our Warranty. Returned merchandise will not be accepted if it is held for more than 10 days after receipt. Wholesale merchandise may not be returned or exchanged. We only accept returns in the case of defective merchandise as is set by the terms of our warranty. We are currently accepting consignment products. Please contact your account manager for details. Items that are sold “As Is” are not covered by our warranty. No exceptions under any circumstances.